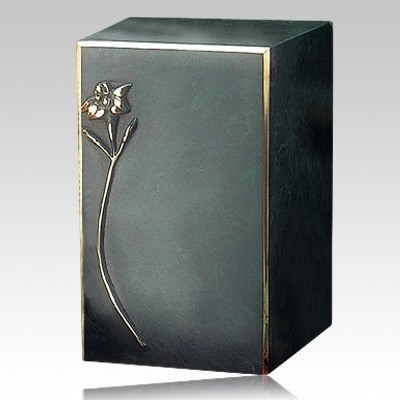 The Artisan Lily Bronze Cremation Urn is made from solid bronze. A wonderful cremation urn as a final resting place. "I ordered this urn for my wife. Customer service has been great as they have answered numerous questions about multiple products. The reason that this is getting four rather than five stars is about the one questions that I did not ask. I thought the coloration of the urn was a patina. Once I received it I discovered that it was a painted finish instead. 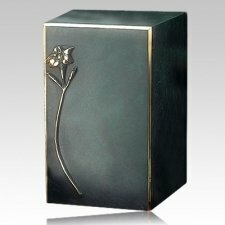 It is a beautiful urn, and I am pleased with it." Edward P.